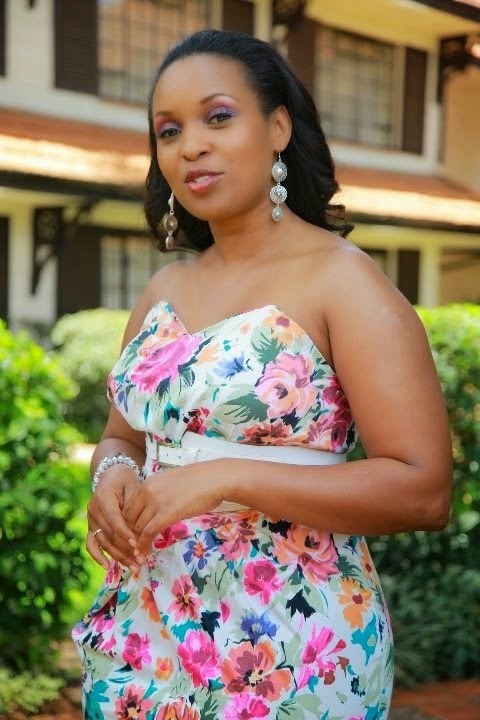 Popular and talented singer and TV host, Sheila Mwanyigha has finally said goodbye to his job as the host of the trendy morning show AM LIVE after working for the company for 11years. Personally, I will miss her. She was just the ideal TV girl and I can comfortably call her Kenya’s Oprah Winfrey. She truly inspired many! "Leave a place better than you found it, is the advice you have probably been given too many times to even care anymore. But to leave a place and be the one who is better because you were there, is what my Mama taught me to care about. It’s a wrap at Nation Media Group for me, but what an epic time I have had. Even as I move on, I must say thank you to each and every listener, and viewer who tuned in to whichever medium I was on and engaged with me. Positive energy begets positive shows always! Stepping into this building 11 years ago, I knew I was a great radio presenter and singer, but what I did not know at the time, was that I was about to discover and grow into many other roles. Phil Mathews tasked me with the Drive show, and he also handed me a manual of the radio play out system RCS. I read that book everyday, and he quizzed me on what I was reading almost everyday. I walked around with that manual in the manner that people carry phones! I had to, had to, had to learn! Not only was I going to be great on air, but great off air too. When he left, I held forte and steered the radio station- Easy Fm at the time to the very top of English speaking stations in Kenya, with engaging content from seasoned presenters such as Ciku Muiruri and her not-to-be-missed Busted segment every morning! My next supervisor was John Wilkins and he taught me even more detailed aspects of programming a radio station. Key elements of a successful commercial radio station such as audience and music research, rotations and clocks and other housekeeping matters key to database management. It took time to learn, but it was important that I do. When he left, I spent some time at the RCS headquarters in South Africa to hone my programming skills. Both Phil and John encouraged my interest in television, and to ensure their continued mentorship, I never let the jobs I did on Studio 53 for DSTV, and Big Brother Africa affect any of my radio duties. Within 2 years of joining NMG, I was hosting the East African reality music show Tusker Project Fame. The early seasons of the show aired on NTV, but subsequent seasons aired on Citizen TV. I must thank Ian Fernandes for initiating major changes within NTV and especially the creation of the news and lifestyle show Am Live more than 2 years ago. I was offered the opportunity to co-host the show 4 times! I can’t even remember why I hesitated in the first place, but I shall be eternally grateful that the offer still stood. It was different and difficult, but it was exactly what I needed to grow. The first year was all about being in front of the camera, but the second was about growing into television production, being behind the camera and building a product. Spending time with production crews and editors- the entire AmLive family, thank you for being the best TV school for me. Sharleen Samat is a lady I will always admire! Perfection, professionalism and passion for what you do, are the qualities that make her stand out and these are the qualities she instilled in the production department. She understood the issues that would hinder the expression of full potential, and so shoddy, second rate work would never fly with her. If you choose to engage, then do it well, ask for help where you are struggling, and give it everything you have, otherwise do not even get out of bed and waste, not only your time, but other people’s time too. She also taught me about the importance of validating yourself. And that only happens when you churn out great work. Whether someone tells you or doesn’t tell you, it’s great work that you have done, it doesn’t matter or count for much, because you already know, that you did great work. Honestly, I wish I could tell you about every single person who has schooled me, but I was only able to be around them by being at the Nation Media Group. This place has been a ‘hotbed’ of training for me including a management and leadership course that took a year, and when done, I topped my class. That coupled with a Masters Degree earned last year, have all added to my body of work. I wish the Nation Media Group well and success- I am a shareholder after all, and I hope the Group shall continue availing avenues of growth to every person who walks in to the building! I know my Mama is proud of me. I have left NMG as a brand. A competent and qualified media-preneur. But most importantly, a better person. Stepping forward in faith, in love and happiness. Expecting no more from anyone, that I would not demand from myself."